Help is available when you most need it. 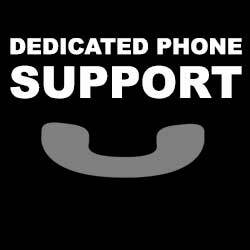 Our product specialists are just a phone call away. SAGE 300 ERP version 2018 (formerly Accpac) is an award-winning enterprise accounting solution for Singapore SME. It is also a full inventory management software. PSG grant up to 70% is available. Contact us for the latest details. Opensoft Payroll is user-friendly, simple and accurate. The payroll software can be integrated with eleave and time attendance system. This software is developed specifically for Singapore SME business payroll process. Contact us for the latest grants information. From attendance data, the system automatically calculates salary, overtime pay, incentives and deductions for each employee and feed into your existing payroll system. Contact us for the latest grants information. Online self-service leave portal for employees. Leave application, balance, history, approvals are all performed online through computer browser or mobile phone. Contact us for the latest grants information.